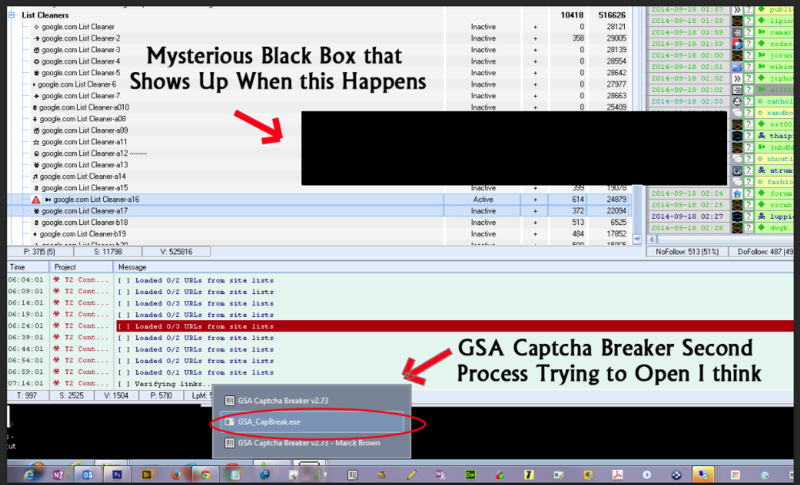 Anyone have problem with GSA_CapBreak.exe automatically popping up and freezing submissions? — . :: GSA SEO & Marketing Forum ::. This is a repost as before it was in the wrong area. So I've had this problem for a little while where my GSA SER & GSA Captcha Breaker are working in harmony until suddenly, seemingly from nowhere, The Captcha Breaker software tries to open it's self again. The submissions seem to slow down or stop at this point. I was thinking it might have been an autoupdate attempt but I dont think these softwares do that. I included a screen shot. If anyone else has seen this I'd appreciate some advice. Thanks.